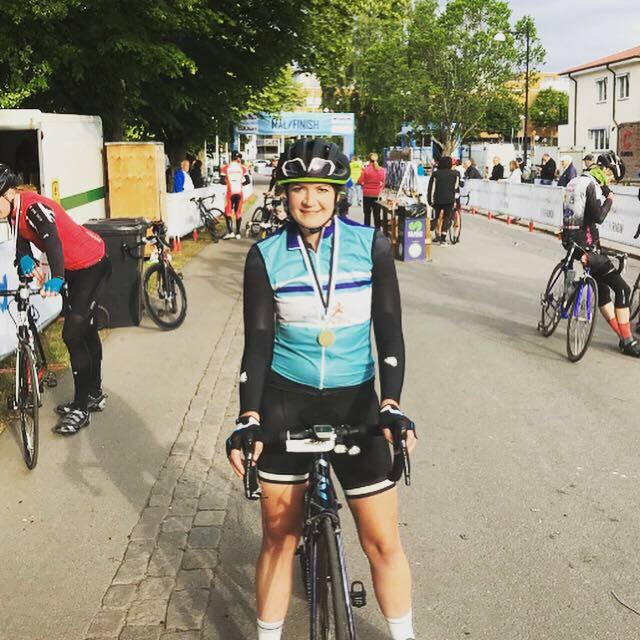 I recently was given the opportunity to travel to Sweden and take part in an event called the Vätternrundan, the world’s biggest recreational cycling event. 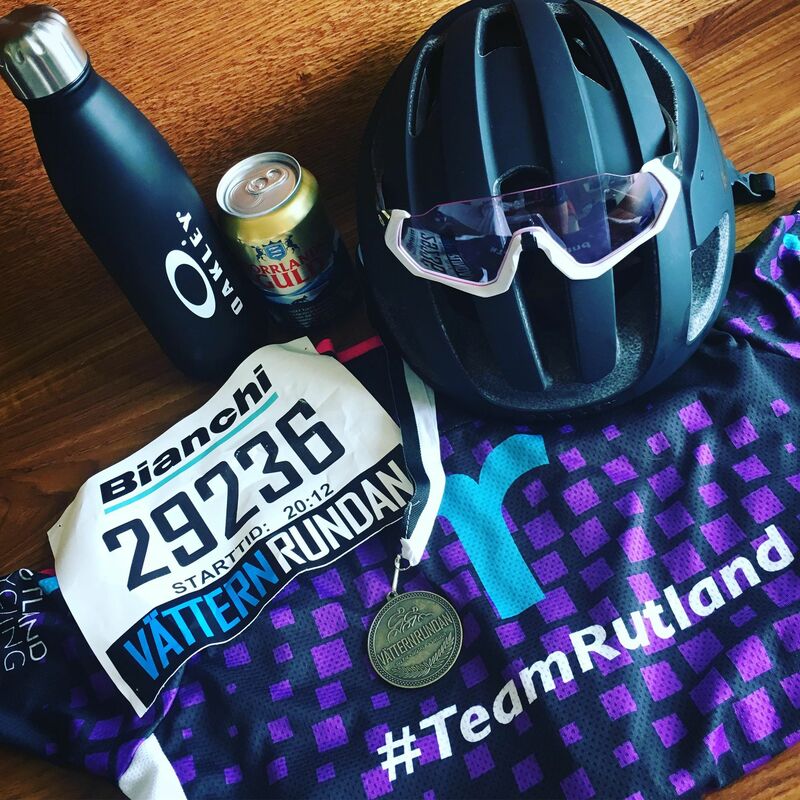 The opportunity presented itself through Rutland Cycling and was to be organised by Oakley. 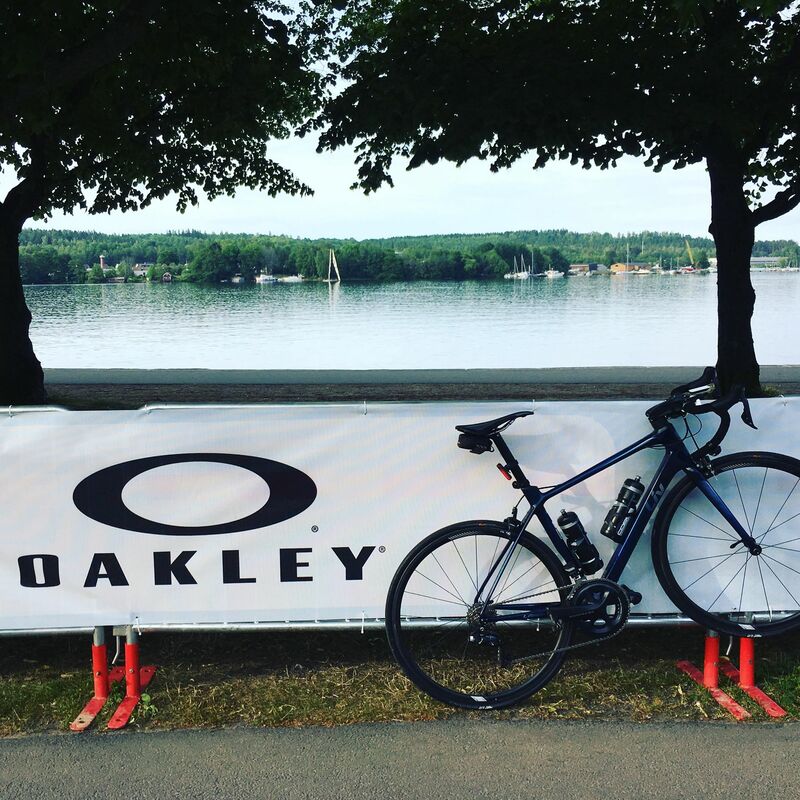 The event is a 300km ride around the 6th biggest lake in Europe, with 27,000 cyclists taking part. I’m not a rider known for long distance riding at all, my perfect distance is 50 miles! However not one to turn down a challenge, I replied straight away saying yes I would love to attend. The reality of what I had agreed to set in that evening, 185 miles is a very long way! I didn’t even know if I could ride that far, but that appealed to me. We were to be starting at 8.12pm, which meant riding through the night. 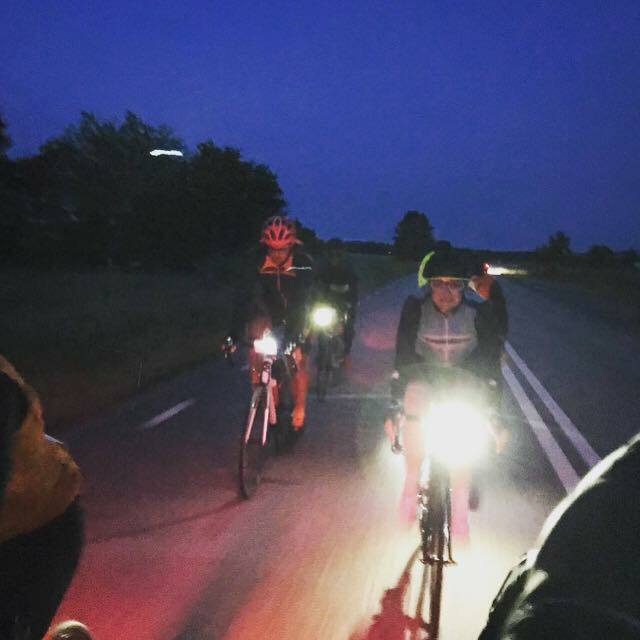 The sun sets around 10pm and sunrise is at 330am, so several hours of riding in the dark. I wouldn’t have ridden with any of the riders taking part and had no idea what to expect in terms of completion time but with that many riders on the road surely there could be a good peloton to jump in with. I was excited to be able to take part in the unknown and I knew just to complete a ride of that distance would be a huge achievement. Just over two weeks later I was flying out to Stockholm with Dan, fellow #teamrutland member and store manager. Dan had completed three ways up Ventoux just a few days prior, so was in for a big weeks cycling in two countries. 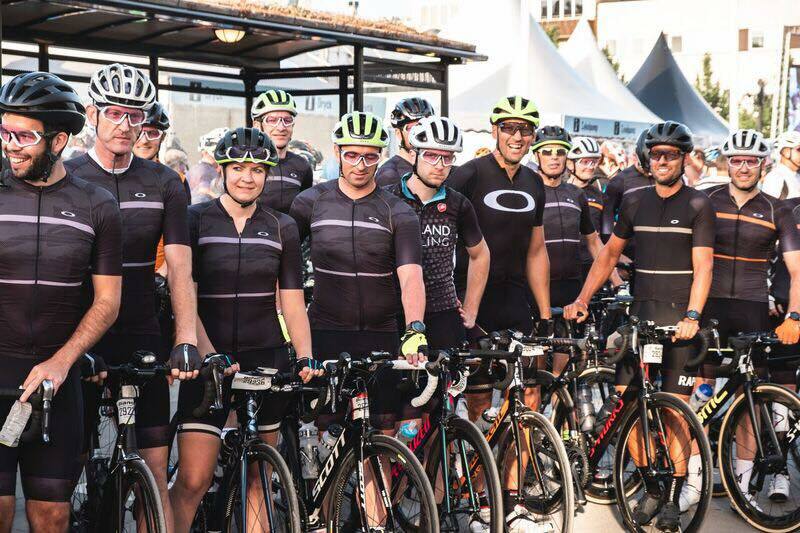 It was a great surprise to arrive at our hotel to be greeted by the Oakley team, be given a goody bag containing jersey, shorts and the latest flight jacket glasses. From that moment on, everything from transport to food and all logistical arrangements were taken care of. My luck really was in to be given such pro treatment! We then found ourselves amongst the company of those within the bike industry across Europe. 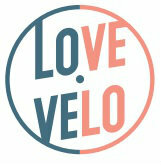 From bike shop owners, mechanics, warehouse managers all brought together by a common interest in bikes and cycling. That common interest made conversation easy and many hadn’t ridden a ride of that distance before too and se we weren’t the only ones! 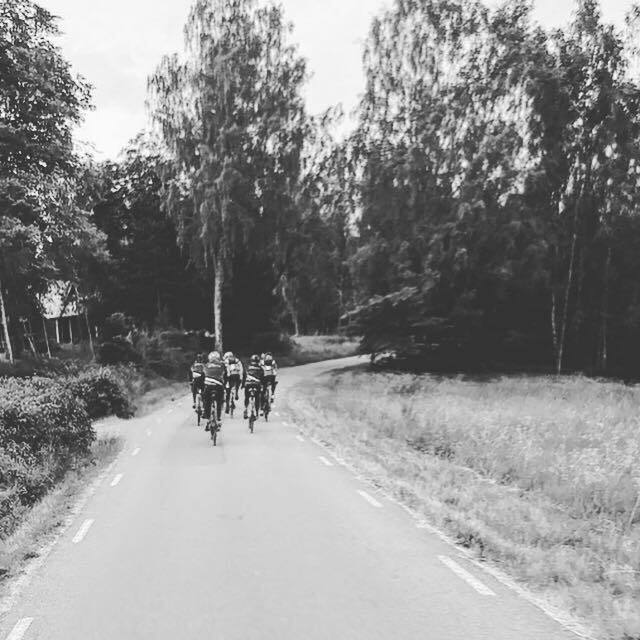 The day of the ride came, no time for resting however as we had to travel to our base hotel in Linkoping, build bikes, prepare kit, eat and drink coffee, standard pre ride faffing really. The day flew by and my hopes of getting a few hours sleep were limited, It was going to be a long night! I arrived to the start line with no real realisation in my head of what I was about to undertake, It just felt like any other day. No nerves, it just felt like I was hanging around on holiday. I felt comfortable. We set off as a group, all in matching Oakley kit. 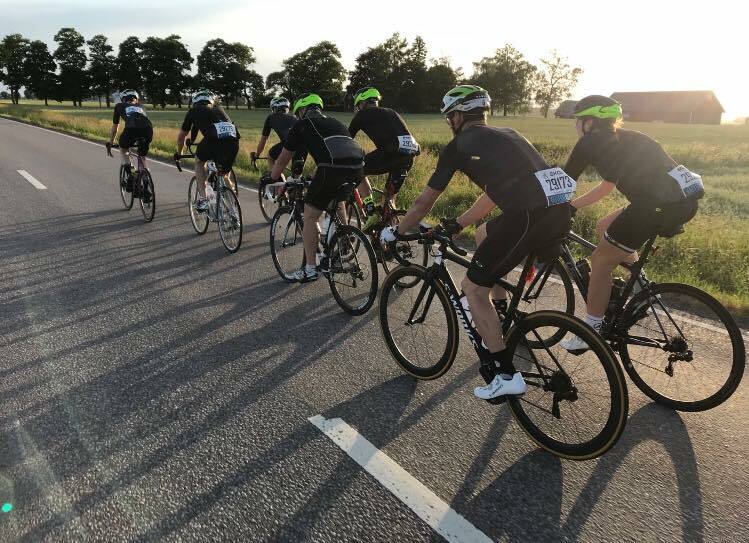 The road surfaces were silky smooth with crowds of local people lining the streets, the beautiful Swedish countryside felt peaceful and it felt great riding in the large group but I knew it wouldn’t stick together for long. The pace then picked up even more and continued, there were some riders keen for quick times and clear to see I was in a bunch of riders that knew what they were doing. Racing fraternity and long time experienced cyclists. I felt in good hands and it felt amazing to be part of, the pace a bit fresh however I always love hanging in there and did my best. 21.7 mph for the first 65 miles with a very tight calls into feed stations, grab food and then go! I knew I couldn’t stick the pace for the ride but racing mode took over and I just hung in, it was amazing riding in that group! My pre ride tactic in my head was to go steady, this wasn’t steady but it was great fun. I stuck in until I had to let the ride go, no bother though, I would just wait for a steadier group to come along. However I was then in the dark and on my own! 110 miles to go and I’m wondering if I had foolishly gone way too hard and over cooked the start! 5 miles to the feed station through dark woodland, I was just glad to go at my pace for a bit. I’m never scared of being dropped and being on my own it felt strangely liberating but at the same time the enormity of what I was taking on really at this point has set in and certainly some self-doubt. There was a niggling doubt about how I was going to get round another 110 miles and I think this mentally was a low point. However, the plan in my head was clear, get to the feed station and just wait for a good size group, try tag in with them and just keep pedalling. However, on arrival I wasn’t the only one blown out of the back of the Oakley train and was greeted by ‘Oh, you’re just in time to join the 2nd group, were all knackered!’. Onwards we went, over a century to go and riding through cold pockets of air, no views to admire at this point, tiredness creeping in and the feeling that I might just lose concentration and clip a wheel. That or another rider might, but we continued into the dark until slowly the sun came up which gave a little bit of warmth and rose spirits. By this point we were a group of around 9-12 riders having collected a few on the way. Some of the guys were doing some really strong or long turns, I wanted to help more but my assistance was limited, the approaches of these riders really kept me going and really showed cycling as a team sport. We stopped at every feed station, dotted every 20 miles and this was a great way of breaking down the ride. The miles ticked away and with 20 miles to go we were then a team of four. I was not feeling in a good way at the feed station but managed to pick myself up a little, I had been avoiding gels but by this point needed a boost. It worked as from that point I managed to find some more energy! We tagged in with other groups and riders dropped off and joined in again, an ever changing bunch until finally It was just myself and Pete. He turned and asked me if I wanted to stop at the final feed zone, my answer a straight and almost despairing, ‘just want to finish’. Off we went, 2up TT to the end and nothing was a better site than seeing that Oakley finish line. What a feeling, one of accomplishment, feeling slightly physically broken and having been on a roller coaster of emotion, a real sense of pride. Dan had already finished by that time, averaging an amazing 21.4mph! The uncertainty when being dropping from the main group and realisation that I still had 110 miles to go! Waking up with a hangover having enjoyed a drink or two too many. How not to recover from a 300km ride! The Oakley train. What a feeling rolling out in that big bunch! The amazing road surfaces and the Swedish people who made the atmosphere something really special. The blueberry soup! Who would have thought it, more like a smoothie but it was awesome and a good pick up at the feed stations. Seeing the sunset and sunrise, feeling some warmth from the sun. The feeling when I realised, yes I would complete the ride. Liv Langma (AKA Lady 2) – faultless comments for this bike. The amazing people who lifted my spirits, were team players and kept me going when it got tough. The two up TT on the last leg with fellow Oakley rider, Pete who I had ridden with for most of the way, he definitely helped get me to the finish! The feeling of pride that I did it and those at home that supported me with their lovely comments.